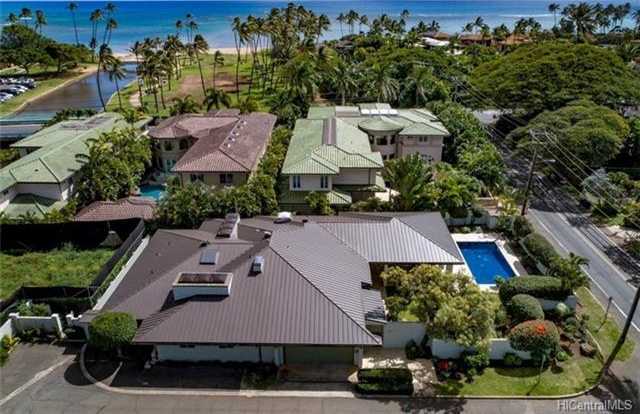 A rare luxury offering at an EXCEPTIONAL PRICE in exclusive Kahala, minutes from Kahala Beach and Waialae Golf Course, this stunning single-level home has been fully remodeled with the highest-quality materials. Natural stone and new hardwood flooring, vaulted ceilings, skylights, and fine finishes create an atmosphere of peaceful elegance. Floor-to-ceiling glass pocket doors allow a seamless flow from the lovely living space to a sparkling new pool and resort-style covered lanai. A perimeter wall and lush landscaping ensure total privacy as you enjoy the true indoor-outdoor island lifestyle. You MUST SEE this jewel to fully understand its true value. There is only ONE MONTH to take advantage of the BEST DEAL IN KAHALA, as the highly-motivated seller will then convert it to a rental. Please, send me more information on this property: MLS# 201817126 – $2,999,888 – 829 Kealaolu Avenue, Honolulu, HI 96816. I would like to schedule a showing appointment for this property: MLS# 201817126 – $2,999,888 – 829 Kealaolu Avenue, Honolulu, HI 96816.